The development of the criminal sanctioning track in the EU is a prominent policy issue. Studies of the actual use of criminal sanctions in the member states are very important since the gap between the law and practice can be very wide. Policy makers and law enforcers are confronted with a lack of empirical data on the actual use of criminal law to sanction environmental offenses. 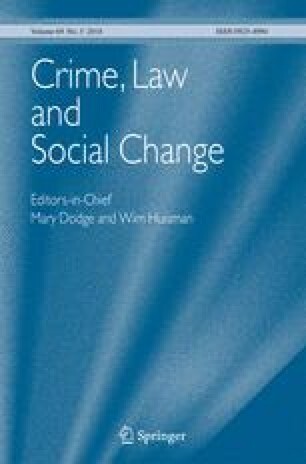 In this paper, we use information stored in the Environmental LawForce database, which is a database of environmental sanctioning by criminal courts in Flanders, Belgium. The study distinguishes three types of offenders: companies, individuals prosecuted for acts committed as part of their professional activities, and individuals prosecuted for acts committed as part of their private lives. Based on previous theoretical insights, we investigate when we expect the environmental sanctions to be similar or different across the three groups of offenders. In particular, we assess the differences and similarities across the sanctioning of environmental offenses committed by companies, professional individuals and private individuals in Flanders. The Environmental LawForce database included the case load of the courts for criminal cases where at least one accusation concerned a violation of one of the following parliament acts, cooperation agreements, or associated implementing royal and government ordinances: the Air Pollution Act (1964), Pesticides Act (1969), Surface Water Act (1971), Noise Pollution Act (1973), Flemish Waste Decree (1981), Flemish Groundwater Decree (1984), Flemish Environmental Permitting Decree (EPD) (1985), Non-ionizing Radiation Act (1985), Flemish Manure Decree (1991), Green Taxes Act (1993), Ionizing Radiation Act (1994), Ecolabel Act (1994), Flemish Environmental Policy Decree (1995), Flemish Soil Clean-up Decree (1995), Packaging Waste Cooperation Agreement (1996), Product Standards Act (1998), Marine Environment Act (1999), and Seveso II Cooperation Agreement (1999). The data collection also included violations of exploitation permits based on the Labour Safety Order (1946). During the period covered by the database – 2003 to 2006 – a large number of firms in Flanders still operated under these labour safety permits, which preceded the environmental permits issued under the EPD. Statistics Belgium. (n.d.). Retrieved on January 2, 2014 from statbel.fgov.be.